If you have read my guest post for “Beach Treasures and Treasure Beaches” you know that some of my inspiration for still life work comes from my art history studies. Another major inspiration comes from one of my daughters, a graphic artist. It has been my privilege to see the world through her eyes for over thirty years. She has the ability – the gift – to see the potential for beauty in the smallest objects and the most ordinary of details. And I have learned from her. She likes this particular photo (and could do much more with it!). 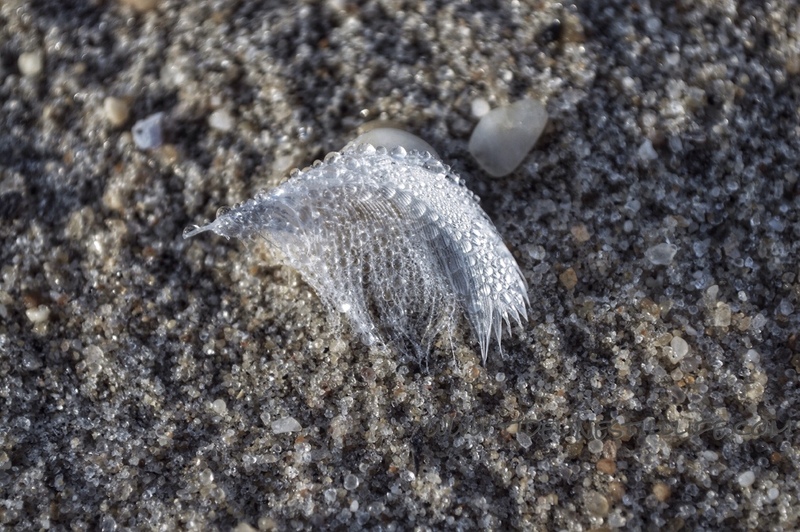 I look at this delicate feather, dotted with the delicacy of morning dew, and I think of this daughter, with love. Thank you do very much, Cara.